Bees are a fascinating and vital part of our planet’s ecosystem. Unfortunately, due to a myriad of problems (many stemming from unnecessary human intervention), honeybees are experiencing unprecedented population declines all over the world. Beekeepers everywhere are working to raise public awareness of these incredible pollinators and what can be done to help them. Urban beekeeping is spreading like wildfire (and yes, you can keep bees in a city). Humankind has a rich history with honeybees dating back to prehistoric times. We see references to bees and honey all throughout the world’s literature and art, as well as religious and philosophical texts. While North America has always had native pollinators, honeybees weren’t introduced until the 17th century (circa 1622). They were brought over on ships by European settlers, and by 1856, honeybees had spread all they way to the West Coast. In 1852, Lorenzo Langstroth, a minister and teacher from PA, made some important observations and revolutionized the beekeeping industry. Today, 75% of all hives in the world are based on Langstroth’s design. If you’re interested in that story (you are - it’s pretty cool), check it out here. In 1864, Moses Quinby kicked off the commercial beekeeping industry in America - one that, by 1957, was operating 1,440,000 colonies across the United States. In 1908, Nephi Miller moved his bees across the country for the winter, starting the migratory beekeeping practice, which is heavily depended on by the agriculture industry now. 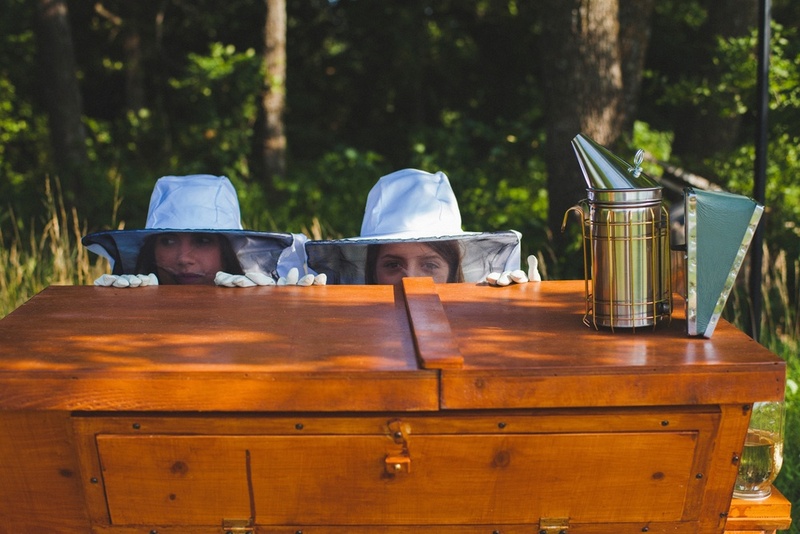 These days, the beekeeping industry is relied on for honey, beeswax, medicine and most importantly, pollination. But now, our honeybees are in trouble. Colony Collapse Disorder (CCD) is a worldwide phenomenon that began gaining traction in 2006. Beekeepers everywhere began to notice entire hives disappearing, leaving behind their queen, a few nurse bees for the babies, brood and food stores. In the years since, loss rates have been between 30% - 50% (normal winter losses falling the 15% - 25% range). We do not know the exact cause of CCD, but the current scientific consensus is that it is due to a combination of potential factors, most stemming from our broken agricultural system. We’ve got widespread systemic pesticide use (neonicotinoids, in particular), immunodeficiencies and increased susceptibility to various pests, pathogens and diseases, loss of genetic diversity, loss of habitat, and beekeeping practices (antibiotics and migratory beekeeping) all competing for the greatest strain on honeybees. Honeybees are estimated to pollinate one out of three bites of food we consume, making them a crucial component of the world’s agriculture. Without honeybees, we would see a dramatic decrease in production of the fruits and vegetables that are widely available to us today. Prices would skyrocket, and we might even see certain crops disappear on a commercial scale. While pollination is certainly a reason to be concerned - the bigger issue here is that bees are in indicator of environmental quality. Bees are dying at alarming rates all over the planet, which means that something has gone very wrong. 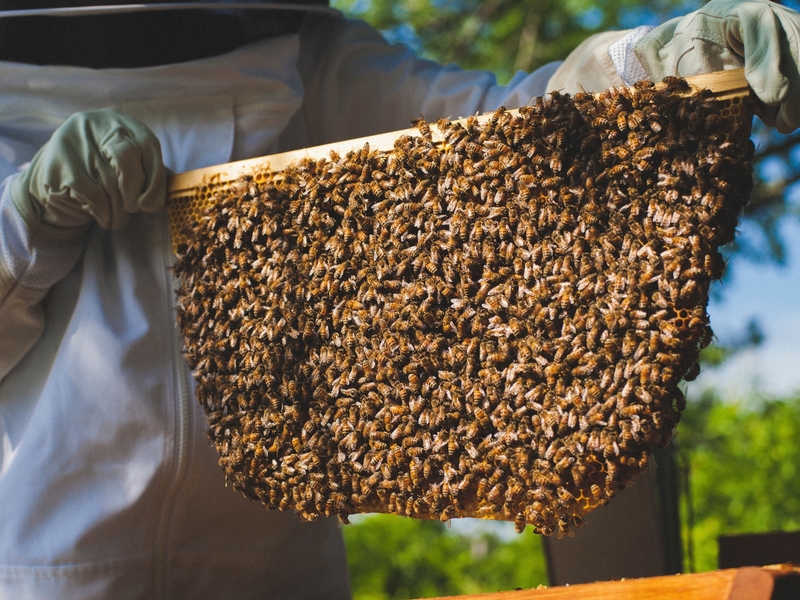 Scientists, beekeepers and activists are pushing for policy reform to ban, or severely limit, pesticides that are speculated to be a contributing factor to CCD. Certain local governments are actively banning the use of neonicotinoids on city properties, and grassroots movements across the country are working with nurseries, landscaping companies and garden supply stores to eliminate the use of these pesticides in their stores. Laws can only take us so far, though. Between selective breeding for convenience, high chemical usage for pest control and intense migratory practices, it now seems that we have pushed bees to their biological limits by placing them in increasingly unnatural situations. Beekeepers and scientists are working together to figure out the best way(s) to fix the mess we’ve found ourselves in and have found an unlikely ally. Africanized honeybees have proven to be pest and disease resistant, as well as excellent honey producers. They are thriving in what is currently considered to be a fairly hostile honeybee environment. They’ve shown us that while our convenient bees might be easy to work with, our "upgrades" haven’t been quite so convenient for the bees. We are now working to breed bees that are able to withstand the current conditions on their own, without needing constant intervention from beekeepers. While heavy use of chemicals, feeding and frequent hive manipulation might provide short term benefits, it has proven to be detrimental to the us, the bees and our environment. In addition to this, there is a movement to start shifting back toward a more natural, hands off approach to beekeeping. Michael Bush is a pioneer in this area, and his website is definitely worth checking out. Think of it like organic vs. conventional gardening; in the short term, conventional practices provide quick and effective solutions. Long term effects are a different story, though, as the heavy chemical dependency is incredibly detrimental to the environment and, often, our health. Beekeeping is no different! While heavy use of chemicals, feeding and frequent hive manipulation might provide short term benefits, it has proven to be detrimental to the us, the bees and our environment. Sweet. What can I do? You don’t have to live on 100 acres of land to have honeybees. Honeybees thrive in urban environments! Some folks in NYC even keep bees on their rooftops. Get involved with your local beekeeping association, and if possible, snag a naturally minded beekeeping mentor. Get up close and personal with these beautiful little creatures, laugh at the looks on your friend’s faces when you tell them what you’re up to and enjoy the surplus honey, when you can. The goal here is to raise happy, healthy bees with little to no beekeeper intervention. You will be positively contributing to your local gene pool - which is the best, most proactive thing you could do right now. If you are considering beekeeping, check out To Bee or Not To Bee: Is Beekeeping Right for You? Honeybees are not the only pollinators around! Bumblebees, mason bees, butterflies, beetles and wasps are just a few of the many native pollinators in North America, and they are suffering, too. Mason bees are tiny bees that don’t sting, don’t produce honey and pollinate more effective than honeybees. You can keep a mason bee house in your garden as a great alternative to keeping a honeybee hive! If you’re not quite ready for that kind of commitment - don’t worry. There is still plenty you can do. Put those green thumbs to work and plant a bee garden in your yard! Find out what the pollinators dig in your area, and throw out some seeds. Increasing the diversity of forage for local bees is a beautiful way to help out (it’ll be pretty easy on the eyes, too). If you don’t have much of a green thumb, don’t despair - these seed bombs will do all the work for you. Find out if there is anyone in your area working to increase pollinator awareness! Here in Oregon, we have the Xerces Society, Beyond Toxics and Portland Urban Beekeepers. These guys do everything from public education to lobbying lawmakers to change harmful policies. Donating even just a few hours of your time can make a big difference to amazing groups like these! Finally, an easy and impactful way to help is to educate yourself and spread the word. There are several beautiful documentaries out right now that provide a good overview of the situation. Check out Vanishing of the Bees and my favorite, More Than Honey. Watch them with your mom. Watch them with your friends. Watch them with your cat. Take your laptop outside and watch them with your bees.